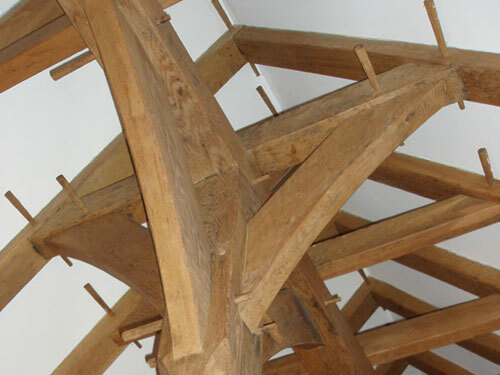 Stocks of well air dried and ancient beams, rafters, fireplace bressumers etc, are held for the manufacture and restoration of traditionally jointed oak frames. Additionally fresh sawn timbers can be sawn to size for new projects. Beam casings are manufactured to disguise steel RSJs etc. 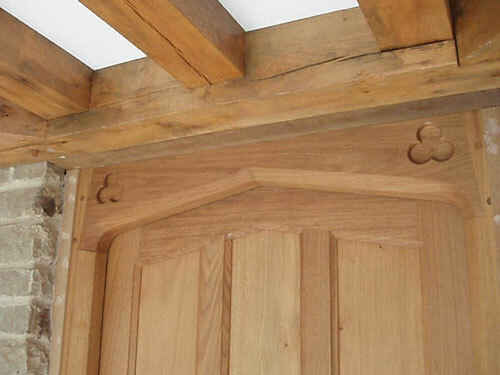 Beams and Casings, Jameson Joinery is a Beams and Casings manufacturer company for corporate or private clients in the UK Sussex including London, Brighton and all the other surrounding areas. Fresh sawn floor joists are shown housed into the oak frame of a new house. 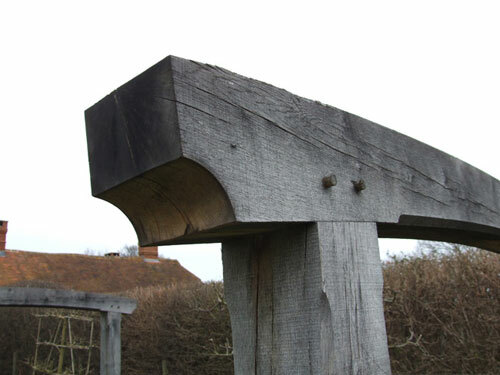 A curved head fitted to posts to form a new Pergola. 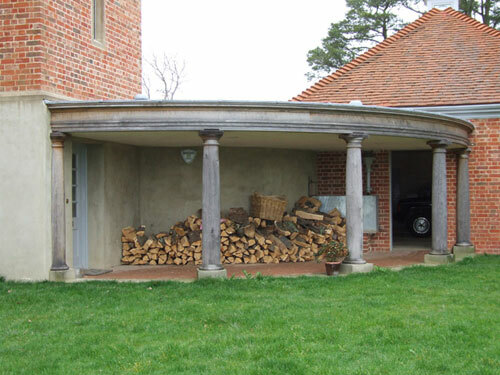 A covered way formed from turned columns supporting curved moulded beams. 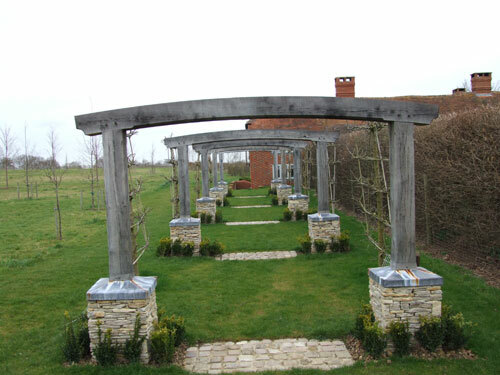 The hand-turned columns have an 80 mm diameter hole bored right through to minimise splitting as weather conditions vary. 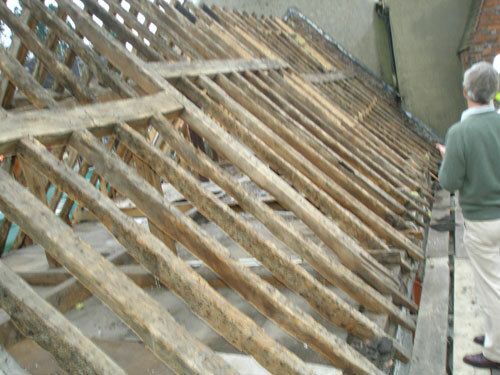 An ancient stepped purlin roof assembled in our works following extensive repairs.